New Brighton Residence and Upgraded School: LSI Brighton is changing! LSI is very excited to announce the redevelopment of our Brighton school. Works on our Portland Road building commenced this month and we will be completely modernising the school environment and adding a student residence for adult students within the school building. 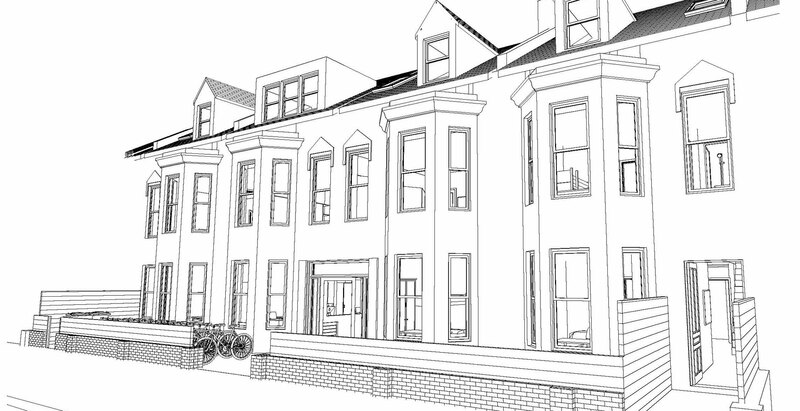 Our 12 bedroom residence is a totally new development within the school building at 55 Portland Road and will be the newest student residence in Brighton. Featuring 12 students bedrooms with a flexible capacity of up to 16 beds, a kitchen and 2 lounge spaces as well as access to the school garden, the residence will be a great place for our students to live. LSI has operated course for groups and summer schools from Portland Road since acquiring the building in 2016. We’re now adding 4 new classrooms and improving the student spaces by adding a student hub own the ground floor as well as improving the main student lounge. From April 2019 the Portland Road building will become the main school, operating from the busy local hub of Portland Road which has excellent local services and transport links to the city centre. The Portland Road building is located just outside the downtown area inside one of the prime residential areas of the city. This will mean shorter travel distances to homestay accommodation for our students in the Western sections of the city in Hove.